New Godzilla: King Of The Monsters Poster & Trailer Released! Warner Brothers has released a new extended trailer for their upcoming Kaiju feature-film, Godzilla: King Of The Monsters! This latest preview shows the legendary creatures awakening for a battle of epic proportions. In addition, a new poster has been released showing Godzilla at the height of his power and ready to take on any challenger. Godzilla: King Of The Monsters will be released in theaters on May 31, 2019! The Tokyo Comic Con is currently underway in Japan this weekend and among the extensive displays from various companies is a special treat for Godzilla fans. Bandai Tamashii Nations have revealed their S.H. 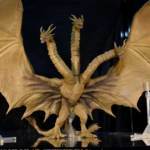 MonsterArts figures for next years Godzilla: King of the Monsters movie, with Godzilla, Mothra, Rodan and King Ghidorah on display! This marks our first proper look at the three iconic kaiju that will be joining the King of the Monsters for this film, and though there have been some changes (Mothra’s body in particular) it’s clear that Legendary Pictures have remained relatively faithful to Toho‘s original designs. Stay tuned to Tokunation for more news about these figures’ release as it comes, but in the meantime you can check out full-sized images of these fantastic re-imaginings after the jump! 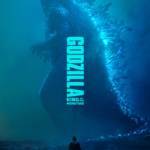 Godzilla 2 and Other Monsters announced at SDCC!! 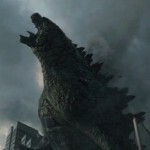 At the SDCC Legendary panel, Director Gareth Edwards announced that he will be back to direct Godzilla two, and then show the attendees at the panel a teaser featuring “historical” footage and a voiceover by JFK revealing that there are more threats out there as the names of creatures flashed on the screen, they were: Mothra, Rodan, and Ghidorah. Gareth will be directing another film before tackling Godzilla 2. Recently released and having made it’s way to collectors is S.H. 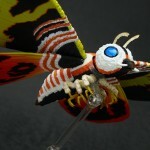 Monsterarts Mothra! This monstrous addition to the Monsterarts line while not flocked, is textured in a way that would mimic it. The effect works brilliantly as you can see here. Mothra also includes a personalized Tamashii Stage with a unique adapter to hold her up. 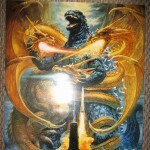 Read on to see size comparisons of the beast with Godzilla & Battra. Click “Discuss on the TokuNation Forums” at the bottom of this post to see the entire review. Each double feature/2 disc set with Digital HD UltraViolet is due out on May 6th for $19.99. Read on to check out the sleeve images!